I meet people who hate the world, and they blame the world for their hate. I meet people who love the world, and they see nothing but love in it. 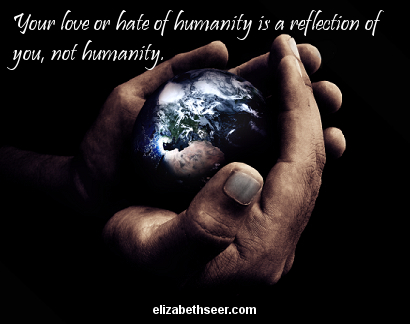 Your love or hate is a reflection of YOU, not the whole. What do you wish to reflect to the world? be love, love and hate, love is good, love the world, no h8, no hate. Bookmark.